Getting yourself and others motivated. Motivation is a major concern for many of us. How to get motivated, how to stay motivated, and how do you really translate motivation into results. 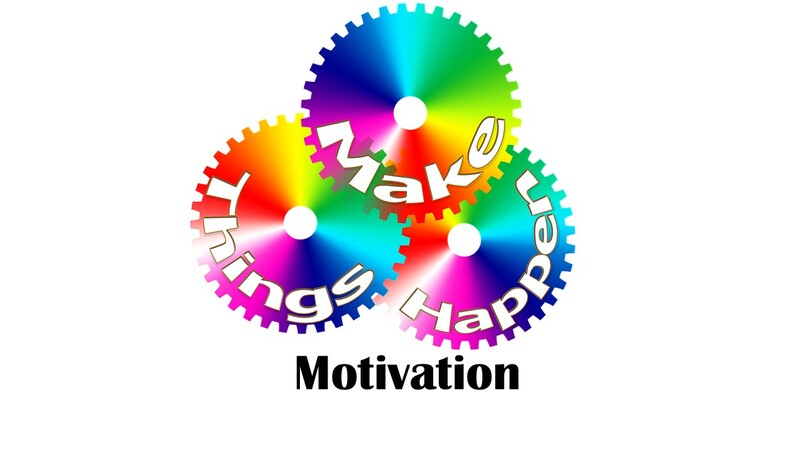 Whether you have a diagnosed mental illness, a substance abuse issue or just want to have a more effective and fulfilling life the role of motivation is an important one. We spent January tidying up some issues related to happiness, what it is and how you get more. We have also spent some time on ways to take a good look at yourself and your situation and make some decisions about where you are and where you are going. A list of some of the major posts on getting to know yourself and self-inventory can be found at, Taking stock of yourself. During February we talked about the role of feelings in your life. There are times feelings can be beneficial even when at the time having to feel them is uncomfortable. We also looked at Alexithymia, that inability to know what you are feeling and to name the feeling. A list of some of the Feelings February posts can be found at List of Feelings Posts. While the major theme this month has been motivation there were some detours as certain mental health issues require addressing. More on motivation and becoming the person you want to be will appear during future posts. Here is hoping Motivation March was helpful and as always your comments on how you experience these topics are welcome. Please keep your comments on topic and positive. Particularly negative comments may not be approved or may be deleted. Some past posts on Motivation are listed below. This entry was posted in Motivation and tagged Alexithymia, Counseling, feelings emotions, motivation by David Joel Miller. Bookmark the permalink. Your articles are great! Thank you.